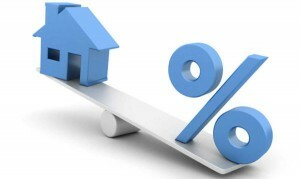 With an adjustable mortgage, the interest rate paid on the outstanding balance varies according to a specific benchmark. The initial interest rate is normally fixed for a period of time after which it is reset periodically. The interest rate paid by the borrower will be based on a benchmark plus an additional spread, called an ARM margin. There are many types of ARM loan programs. A standard ARM will adjust its interest rate annually for the life of the loan. More popular ARM programs are the 3/1 and 5/1 ARMs. These loans will hold its initial interest rate at a fixed amount for 3 or 5 years and then have a rate adjustment interval every one year after that time. 3-, 5-, 7-, 10- Year fixed rates. Rates will adjust based on market conditions thereafter. *The interest rates, annual percentage rates (APRs) and program options are subject to change without notice. Your APR will vary based on your final loan amount and finance charges. Stated rates and terms are intended as examples only. Call 1-800-270-7082 for current rates and terms.